While every person and every generation has something to learn, we all also have ideas and information that can benefit others. Those skillful in asking questions have an advantage for planning and implementing financial activities. Asking questions usually results in useful knowledge before taking action and being less intimidated about unknown topics. Joining groups through social media and online communities resulting in connections and information to support financial concerns and decisions. Not being overly confident, but researching a topic carefully before making a financial decision to take action. Maintaining a minimal competitive nature; instead identify actions and investments that best meet your financial goals. Manage spending and saving with the use of debit cards, instead of credit cards, and automating your savings with online deposits or an app. For additional information on successful financial planning actions, click here. Have students survey friends to determine which of the actions in this article are commonly used. Have students create role playing situations or a video to communicate the benefits of the actions discussed in this article. What do you believe are the benefits and drawbacks of these suggested actions? Describe other actions that might be taken for successful financial planning. One in four millennials are concerned about not having enough money saved. Over 70 percent of these young people believe their generation overspends, and 64 percent believe that their generation is bad at managing money. Over 60 percent of millennials are saving, and 67 percent are consistent in working toward a savings goal. A reported 73 of millennials who have a budget, stay within their budget every month or most months. Nearly half (47 percent) of millennials have $15,000 or more in savings. While 16 percent millennials have $100,000 or more in savings. Millennial parents are sensitive to child-raising costs. While older generations report that finances weren’t a main factor in the decision to have children, millennial parents believe the opposite. While many are paying off their own student loans, nearly a quarter of older millennials are saving for their children’s education. For additional information on money habits of millennials, click here. Have students talk to friends to obtain information about their budgeting and saving habits. Have students locate and report on an app that would help guide their spending and saving activities. What attitudes and behaviors did you learn when you were young that influence your spending and saving habits today? Based on these research results, what money management suggestions would you offer to others? Maintain your lifestyle and spending habits as you receive raises. Instead of a bigger house or new car, the increased income can be used to stabilize your financial situation and increase saving for future needs. Keep your average daily spending low.To avoid lifestyle creep, simply keep your typical day spending at a frugal level. Increase your automatic savings amounts. Consider saving an amount from each paycheck equal to the amount of your raise. This will allow you to put aside money for major financial goals and long-term financial security. Keep housing costs low. Instead of upgrading, maintain and improve your current home. Housing is a major cause of lifestyle creep when a more expensive home results in higher property taxes, maintenance costs, insurance, association fees and other expenses. Remember and review often your financial goals.Do not take your focus off long-term money goals. Short-term desires and impulsive spending can easily undermine your financial future. Create a way to remind yourself of those goals each day. Have students ask another person of what actions might be taken when a salary increase is received. Have students create a video contrasting wise and unwise actions when receiving a salary increase. What factors influence “lifestyle inflation” in our society? In addition to the suggestions in the article, what actions might be taken to avoid lifestyle creep? Use automation. Using automatic transfers will allow you to save for a house down payment, an emergency fund, a vacation, or retirement. Challenge yourself. Cut unnecessary expenses to allow you to have money left over each month for financial goals. Change your environment. Modifying your financial habits can occur with visible reminders, such as photos, sticky notes, or note cards placed on your credit card, desk, bathroom mirror, refrigerator, car dashboard, or computer screen. Also consider keeping a financial diary or journal. Obtain needed support. Instead of going it alone, work with a friend, roommate, spouse, or group to achieve your money objective and stay accountable. Have students talk to others to obtain ideas for achieving financial goals. Have students create visuals that might be used to remind them about financial goals and actions. What are the main reasons people who not achieve financial goals? 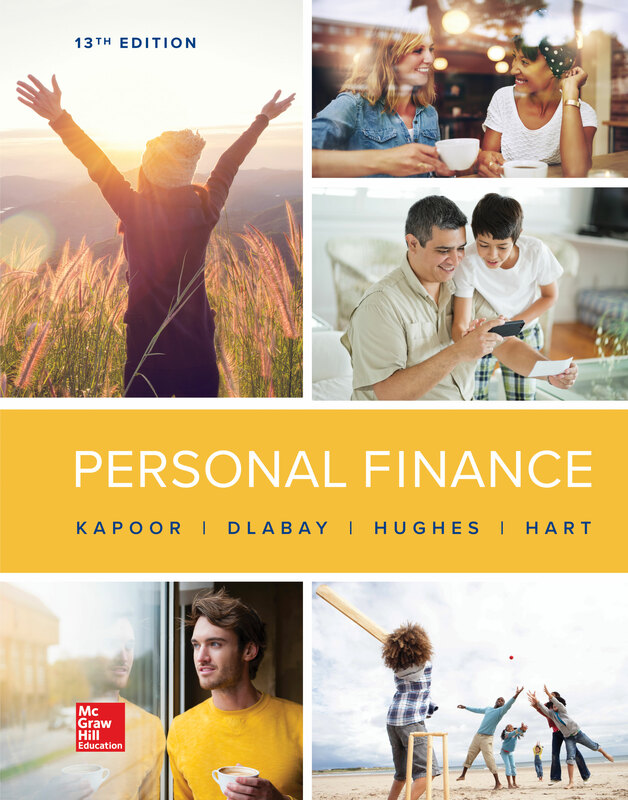 Describe methods that might be used to help you and others achieve financial goals. Fact: Most Americans wonder how the current wave of tax reform will affect them. This article by Kimberly Amadeo summarizes how the Act changes the amount of income tax that both individuals and businesses pay. Lower tax rates (highest rate in 2017 was 39.6 percent drops to 37 percent in 2018) could mean an increase in the amount individuals take home each payday. Personal exemptions ($4,150 in 2017) per person are eliminated. The standard deduction almost doubles for a single person ($6,350 in 2017) to $12,000. For married and joint filers the standard deduction ($12,700 in 2017) is now $24,000. More taxpayers will opt to take the standard deduction instead of itemizing deductions. For those taxpayers who choose to itemize, many itemized deductions that were previously allowed have been eliminated. Taxpayers who itemize can still deduct charitable contributions, most mortgage interest, retirement savings, and student loan interest. Taxpayers who itemize can still deduct up to $10,000 in state and local taxes. For businesses, the largest and most signification change is lowering the maximum corporate tax rate from 35 percent to 21 percent beginning in 2018. The article does provides more specific information about how the Tax Cuts and Jobs Act affects both individuals and businesses. Discuss how the Tax Cuts and Jobs Act will affect a single college student or a typical American family. Explore how lower corporate taxes could impact economic growth, worker salaries, unemployment rates, job creation, and other factors that impact both the nation and individuals. Given the information contained in this article and other reports, do you think the Tax Cuts and Jobs Act is good for you? Explain your answer. For an individual, what effect does lower taxes have on your spending, savings and investments, and retirement planning? contacting your insurance company – request a copy of your policy, take photos and videos to document your claim. registering for assistance at DisasterAssistance.gov or call 1-800-621-3362.
talking with your mortgage lender and credit card companies since you may not be able to make upcoming payments on time. contacting utility companies to suspend service if you will not be living in your home due to damage. Beware of various scams that surface after natural disasters. These frauds can include phony repairs, deceptive contractors, requiring up-front fees, fake charities, and misrepresenting oneself as an insurance company agent or government representative to obtain personal information. The Federal Emergency Management Agency (FEMA) – http://www.fema.gov. The Red Cross and local agencies can assist with shelter, meals, clothing and personal care items. The Disaster Assistance Improvement Program (DAIP)can provide disaster survivors with information, support, services, and access to apply for disaster assistance. For additional information on financial actions for disasters, click here. Have students role play situations that might require actions such as those described in this article. Have students create a video with suggestions to take when encountering a natural disaster. How might the advice offered in this article be communicated to people who are victims of a natural disaster? Describe common mistakes people might make when encountering a natural disaster. Albert (www.meetalbert.com) is a mobile app to guide your financial decisions with the assistance of various financial institutions. EARN (www.earn.org) is a national nonprofit to help low-income families create a habit of saving and break the cycle of financial instability. eCreditHero (www.getcredithero.com) is designed to fix errors that appear on an estimated 80 percent of the credit reports of Americans. Scratch (www.scratch.fi) helps borrowers to better understand, manage, and repay loans. WiseBanyan (www.wisebanyan.com) is a free financial advisor that suggests and manages investment plans for various financial goals, such as savings for retirement, creating an emergency fund, and buying a home. For additional information on innovative financial planning apps, click here. Have students search for a website or app that would be of value of improved personal financial planning. Have students talk to others about the financial concerns they face. Ask students to propose an app or website that would address a personal finance concern. What personal financial planning areas provide people with the most difficulty? Describe potential apps or websites that might be created to assist people with their personal financial planning activities?